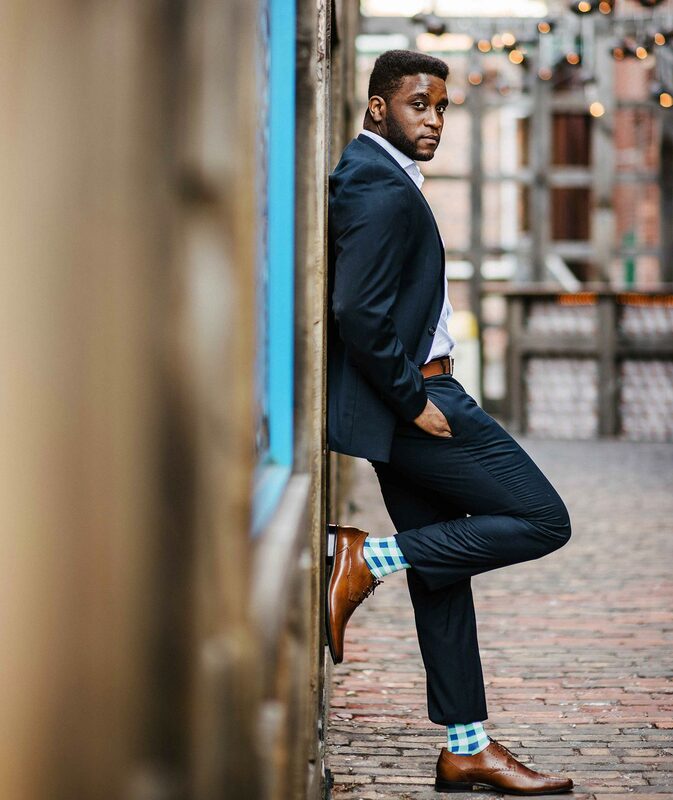 Take A Look At How Flyte Socks Pre-Launched Their Business Using Kickstarter And Exceeded Their Fund Goals By 700% Using Gleam. We're going to take you through Flyte Socks's success story and show you how they used Gleam to drive pre-launch emails and run a crowdfunding campaign which drove massive success on Kickstarter and Indiegogo. Running a Kickstarter is a fantastic way to validate your product with a market that is willing to give you money to develop it. So you’re about to launch your Kickstarter to the world, how can you use contests to drive engagement, sales and awareness about your product? Aside from the planning and preparation of your product itself, the marketing strategy for growing your Kickstarter is a huge key component that many overlook. We talk a lot about not launching to crickets, and that your marketing campaign should begin well before your Kickstarter even launches. Flyte Socks smashing Kickstarter and Indiegogo funding goals with powerful campaigns and messaging - all on a shoestring budget. In this guide we’re going to break down exactly how one of our customers, Flyte Socks, managed to attract over 1,400 backers, smash their funding target by 700%, all on a shoestring budget. 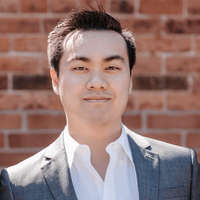 Hung Jean, an undergraduate at the University of Toronto and self-confessed ‘wantrepreneur’, was in a situation we can all relate to: looking for a lost sock. It wasn’t just any sock, though, as Hung was on his way to a job interview and these were the socks that had brought him a lot of success over the years. Fifty percent down on luck and frustrated that things weren't going to plan, Hung decided there needed to be a people’s champion, someone who could make it a mission to ensure nobody had to have their days ruined by an absent sock ever again. 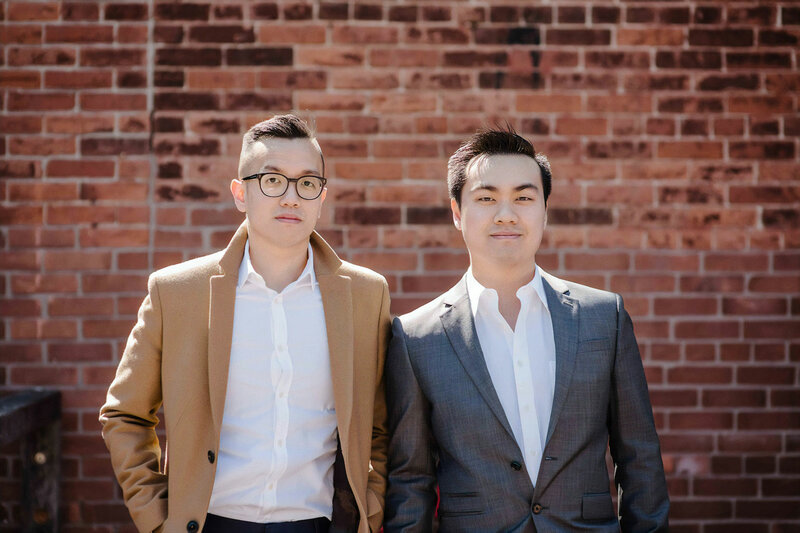 In 2015, Hung and childhood friend Jeffrey Trinh created Flyte Socks. With its state-of-the-art ‘tri-socks packaging’, no longer would you have to go to interviews, meetings or parties with one pant leg longer than the other, to hide the shame of a missing sock. Flyte Socks gives you three of the same sock! 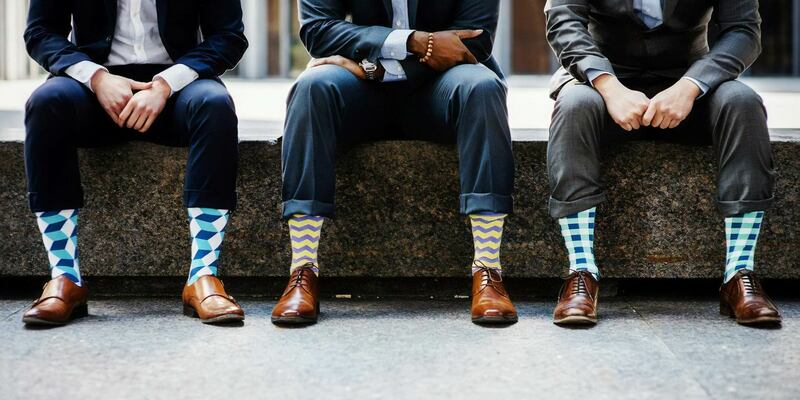 Flyte Socks’s initial goal was to find out if there was a market for their product, and with limited time, experience and capital all posing barriers, the first and safest option was to trial a Kickstarter campaign. Kickstarter is a great platform to get a ton of eyes on your project. It's a way to market your brand the way you want before launching a store. It was a way for Flyte Socks to validate their ideas through a combination of unique packaging, materials and risk mitigation. With both combined campaigns, Flyte Socks collected over 4,500 emails for less than $200, but one of those strategies paid off more handsomely than the other. Our collaborative giveaway yielded much better results for our Kickstarter campaign, even though we collected fewer email addresses. 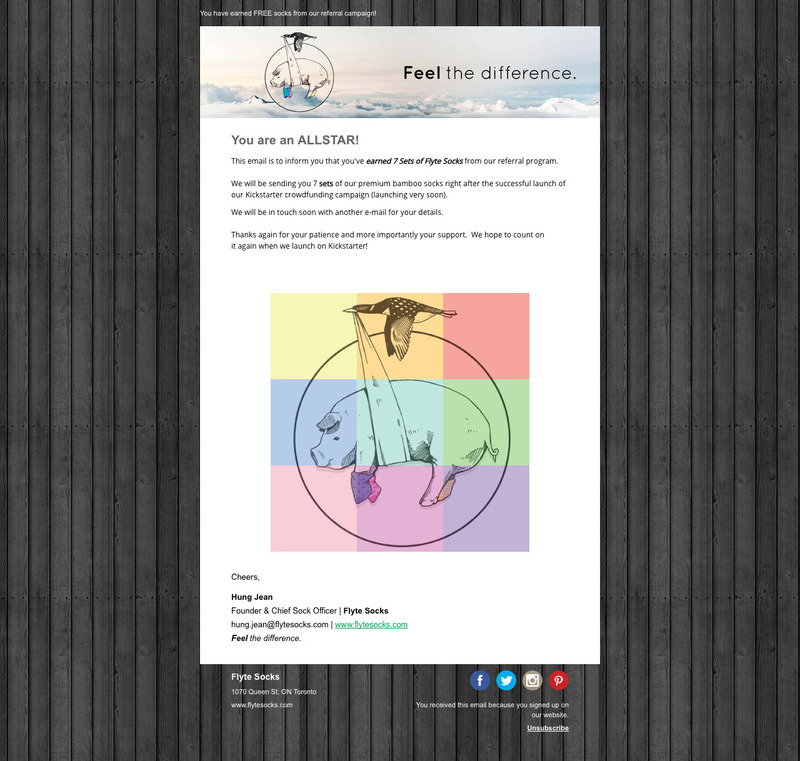 We were able to leverage off the other companies by having Flyte Socks sent as an email blast to three other user bases. This was extremely beneficial, since were able to capture strong, targeted leads (repeat backers on Kickstarter with an interest in footwear and accessories). Persistence is key, though, as Flyte Socks got a lot of rejection emails before things started to click. We probably sent over 50 emails to 50 different brands. Initially, we didn’t hear back, and who could blame them? We weren’t established, but we pushed through, expressing the whole time we could do all of the work and cover the costs required to run these campaigns. Once we got the first company on board, it was like a snowball effect. It got to the point where we had to turn away companies approaching us, so that our primary objective wasn’t diluted with unrelated giveaways. 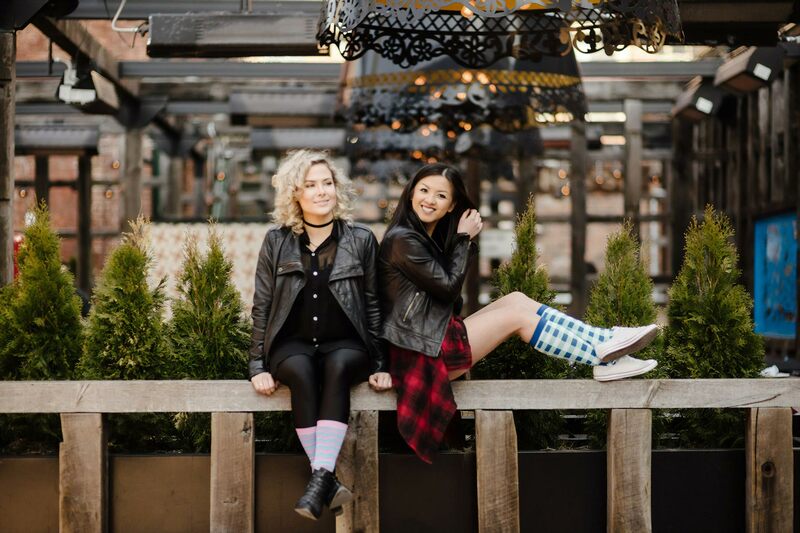 Partner contests can have the potential to be hard to keep track of, but Flyte Socks was able to take advantage of Gleam to consolidate not just the entries across their website and social channels, but also those of their partners. Flyte Socks’s first use of Gleam was to run a solo campaign using their own products as prizes for entrants. They ran this in April, which was a good 3 months before the planned launch of their Kickstarter campaign. The campaign was promoted on various social channels, alongside being promoted to Flyte Socks's initial email list which was built using their referral program. The results speak for themselves. The campaign had received over 20,000 unique impressions over the course of the competition, with users performing almost 22,000 actions at an impressive conversion rate of 19.5%. So with some prior data based on running a campaign focused only on their product, the next campaign included prizes from Ace Marks, Satchel & Page, and Rossling & Co. This campaign was designed to provide ongoing engagement by offering weekly winners for each brand. Flyte Socks would get strong leads from the brands, and the brands would get incremental exposure (and social engagement) from the campaign itself. 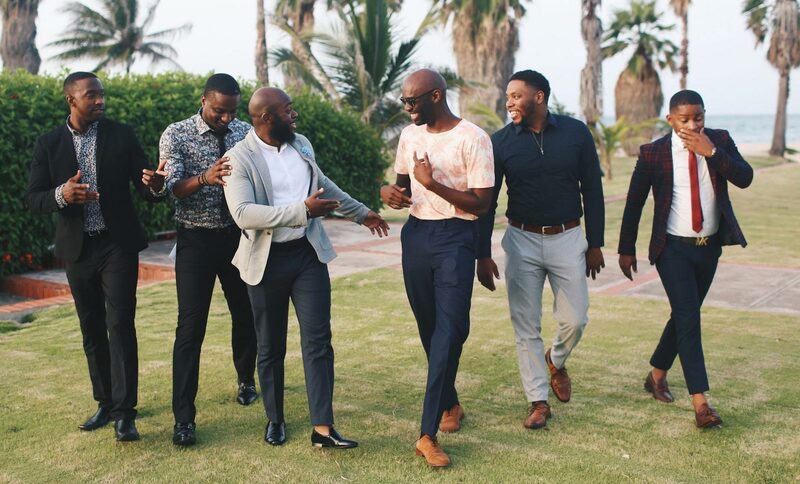 The 'Modern Men's Essentials' campaign was quite comprehensive in terms of reach, leading to almost 19% in conversions from around 3,000 users performing 18,000 actions. Conversion rates are typically lower with multi-week campaigns as you end up getting many multiple impressions per user. The result of these two campaigns meant that Flyte Socks had a subscriber list with over 10k members and a following of 10k users across various social media channels. On launch day, this existing list was able to help them drive over $10,000 of funding in just one day. Far exceeding their expectations. Even though our e-mail list didn’t convert as well as we liked, it did bring a tremendous amount of traffic to our Kickstarter campaign. We strongly believe Kickstarter takes traffic into account to determine which campaign is out-performing, which indirectly helped us in getting more sales since the traffic made us the most popular fashion campaign on Kickstarter for the entire 35-days duration. After day one they were also featured under Kickstarter’s ‘Projects We Love’ and topped the Footwear and Fashion categories. But it didn’t stop there. They went on to surpass their goal by 700% on Kickstarter and driving even more incremental revenue via Indiegogo. Flyte Socks also supplemented their growth by running smaller platform specific giveaways to engage those audiences. You can see a small Facebook Timeline giveaway they ran once they hit the 1000 backer milestone on Kickstarter. How can you take the learnings from the huge success of the Flyte socks campaign and apply it to your own business? Our friends and family are a great source of truth. The best part is, it’s free. Whether good or bad, it helps complement any ideas around campaign launches, and can be especially handy when looking for organic ways of developing a list through social or even word of mouth. Your friends and family want you to succeed, and they will be the ones who will be most willing to help. Do they want free products, too? Probably, but if you’ve got strong networks of close people around you, the campaign can spread like digital wildfire. If you’re worried about rocking the boat with those nearest to you, imagine how hard it will be to reach people you don’t know? That legitimate digital wildfire just doesn’t happen, rather just a quick-fading spark of inspiration. Flyte Socks managed to leverage exposure by sending socks to well known celebrities who have lots of followers on Instagram. This is a super easy thing to do if you have a product that you can manufacture (and ship) cheaply. We’ve covered the topic of partnering with other brands quite a bit on our blog. The more time we spend compiling research around collaborative approaches to contests, the better we understand why this is a stronger approach to acquiring users – especially for smaller brands who are just starting out. It’s a good opportunity to also be more focused on users that will be attracted to your product. As Flyte Socks noted, it was important for them to incorporate products that complemented their brand just as much as it was to target an audience who’d be more compelled to back a project that fits their lifestyle. It’s almost as though their brand is being vouched for by companies that have had that initial Kickstarter or E-commerce success, and still have loyal customers who trust the direction their business is heading, whether through email blast, new range launches and so on. Landing pages are an effective way to funnel acquisition sources through your funding funnel. It can always be there, and refreshed regularly to reflect what is happening elsewhere with your strategy. For example, you can create a landing page prior to launch which creates buzz, but as your campaigns start to ramp up, and those closing dates start to get nearer, you can use the page as an incentive to drive funding, run contests or refer friends. For example, we have a custom landing page that we use to run our own contests. Strong messages like ‘We’re closing in on the last days’ or ’10 days until we launch’ will always work. Urgency, scarcity and pressure to perform an action can compel an unsure person into a backer. Once the campaign has completed, the same landing page can be used to offer those who missed out an opportunity to contribute in another way, or make a decision to buy your products or services. This is a funny one, because all logic might tell you that you should only launch on a single platform. However Flyte Socks decided to launch on Kickstarter but also leverage the InDemand service from Indiegogo. InDemand allows you to still accept contributions to your campaign after it ends. To be eligible you must have already met your target. 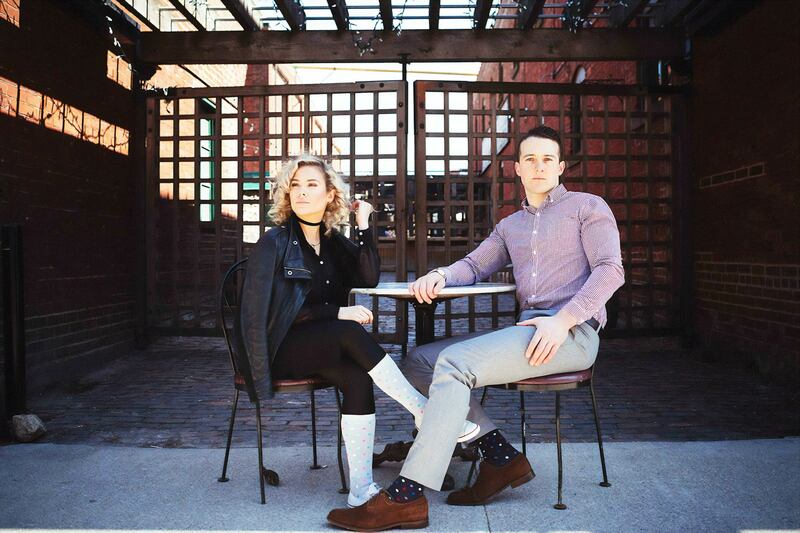 Flyte Socks smashed their funding on Kickstarter then looked for other avenues to increase overall revenue. The lesson here is don’t always do what seems normal, they already had all the assets and strategy – this one thing helped them increase their total funding by an extra 4% to date, but it’s still running. This one wouldn’t come as a surprise to a lot of established brands, but for those trying to attract people who’ve never heard of you before, connecting with these people from day one is an important puzzle piece to align. Don’t worry, it’s not like someone’s going to say, ‘Oh, man, this brand has changed so much since they started,’ mainly because they’re still unsure as to what you actually do. 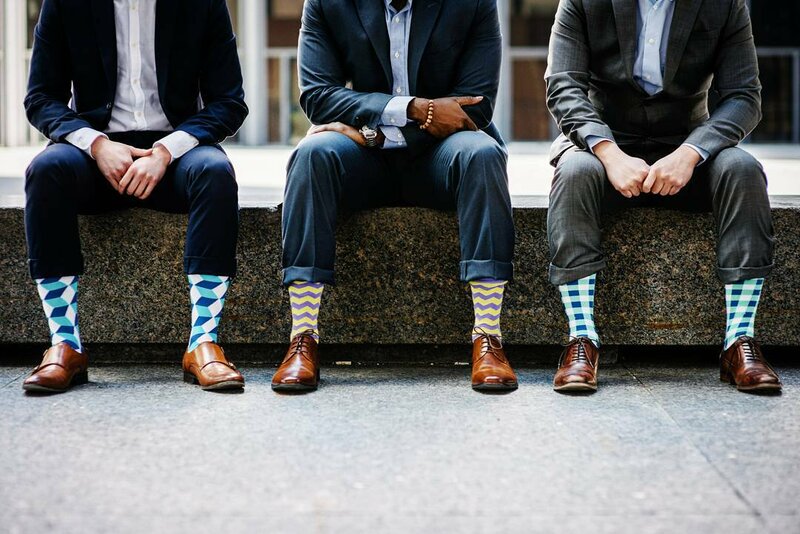 From the outset, Flyte Socks wanted to ensure their messaging was targeted, and to the kinds of people who would resonate with their content and products. By establishing that foundation, it meant there were no transparency problems with those who were already engaging, and those who started to learn more about the brand. In the early days the team set up a basic referral program which would allow users to earn free sets of socks for referring other users. We originally actually collected over 20k+ emails pre-launch from our referral program and giveaways. Midway through our referral program, one referral participant decided to share her referral link to a sweepstakes website (smart move on their part given how our referral program worked, more referrals equals to more products earned), from that point, it spread like wildfire across other sweepstake/giveaway websites and our e-mail list grew exponentially. This created a double-edged sword situation for us, because on one hand were able to capture tens of thousands over a short period of time and I’m sure some of these e-mails were good leads. On the other hand, we captured a lot of bad leads who were only in it for the freebies and prizes. We never posted our referral program or giveaway contests to any Sweepstake sites, our followers did it for us. So there is definitely a lesson to be learned here, it’s not about how many leads one captures, it’s about the quality of the leads. Are you pre-launching your business? Planning to run a crowdfunding giveaway? You can drive powerful actions and give your crowdfunding campaigns a massive boost using Gleam Competitions.